Looking for something easy and delicious to do with your fresh strawberries! 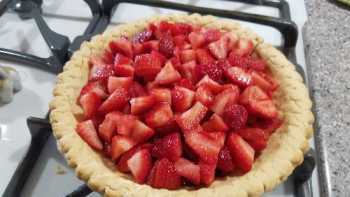 Make Pie! 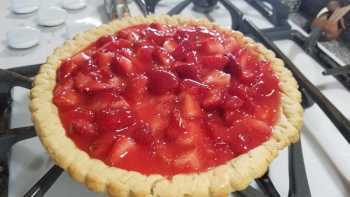 I know, making pies doesn't sound easy but with some simple short cuts you can have this strawberry pie in no time. What short cut? 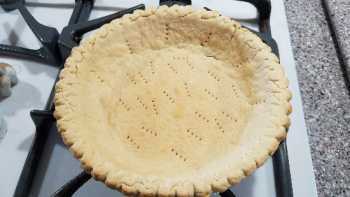 Ready made pie crust in your grocery stores freezer section. I know, I know but they do still turn out nice. Nothing beats home made from scratch but in a pinch they work great. It takes about 30 to 45 minutes to put together, then 3 - 5 hours in the fridge so if you are wanting it for dinner, be sure to make it around noon. 1 - 9 inch Frozen Pie Crust thawed about 15 minutes. 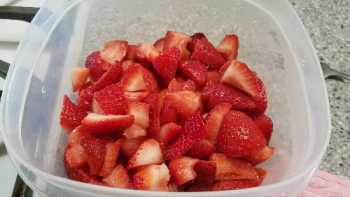 1 Pint or approx 3 Cups Strawberries Cleaned and cut in half or quarters depending on their size. 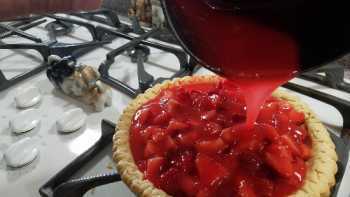 While your pie crust is baking, wash and remove the hull of the strawberries and cut in half length wise or smaller depending on their size. Add water, sugar, cornstarch and strawberry jell-o in a medium sauce pan over medium heat. 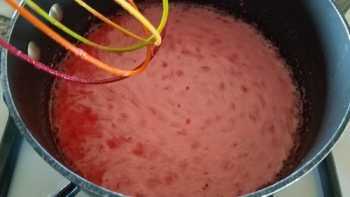 Whisk mixture to combine and to keep from burning until you have a gentle boil. Remove from heat and let the glaze cool. To speed things up a bit put your saucepan in an ice bath in the sink to cool the glaze. 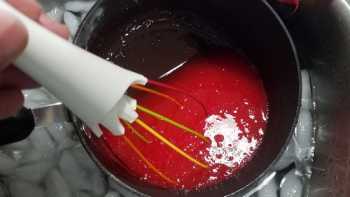 You will need to whisk the glaze every few minutes to keep it from clumping and until it thickens, but still pourable. 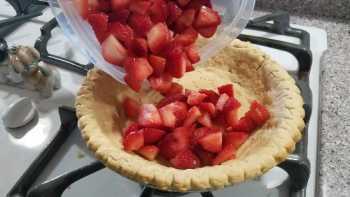 Add your cut strawberries to your cooled pie crust. Pour your strawberry glaze over your strawberries. 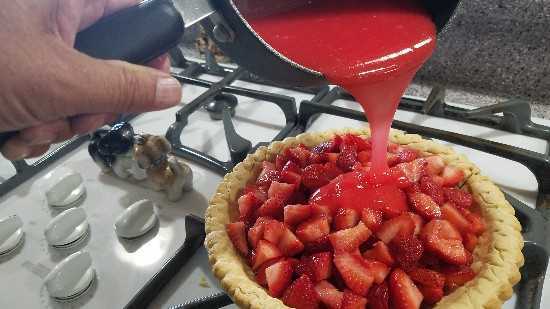 I like to use a fork to lift the berries so the glaze can get all into the strawberries. Chill your strawberry pie for 3 - 5 hours. 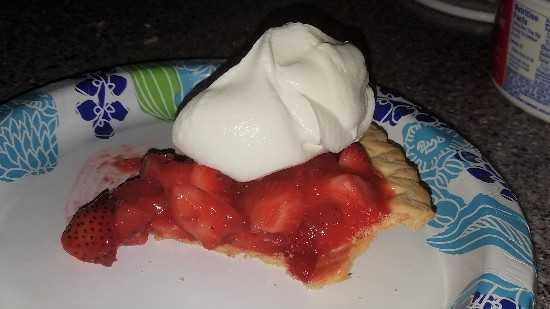 Serve with a spoonful of whipped cream, cool whip or vanilla ice cream.